LOVE this one! I agree that after awhile the corals get a bit much. I never had a real coral/orange phase, so I am enjoying it right now, haha. 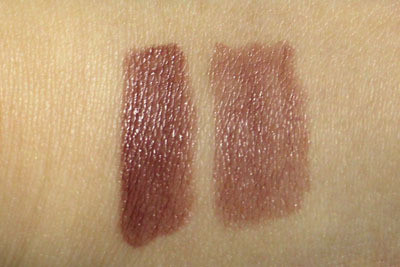 I do like this colour on others but I never could pull this shade off :( I think it will look muddy on me. sadly this emphasised my dry patches. I scored mine at Sephora last night. It's Fast Ride's lighter clone, and it's gorgeous. 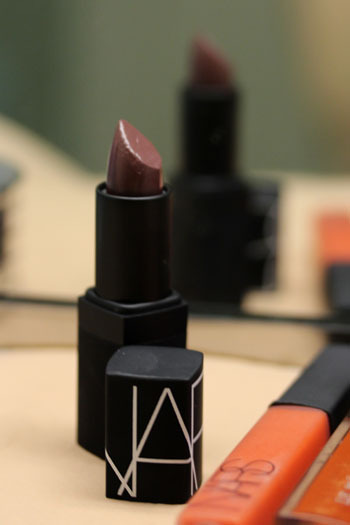 It looks muddy brown in the tube, but it's magic on the lips. Absolutely beautiful. I never would have given that shade a second look if I hadn't seen it on you. I like unique colors too. But I don't think I can wear a brown like this. I really like this shade. I love dirty plums and the like, so this is up my alley. Thanks for the heads up. It's lovely on you.